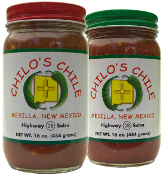 Free shipping on all salsa orders! Copyright © 2008-2019 Chilo's Chile. All rights reserved.